We are always pretty glad when families choose our farm in order to spend their holiday in Castelrotto and on the Siusi Alp. For this reason near the farm we have also a playground for children. Those who simply want to relax can just lend a good book from the library at the Niglutsch farm. 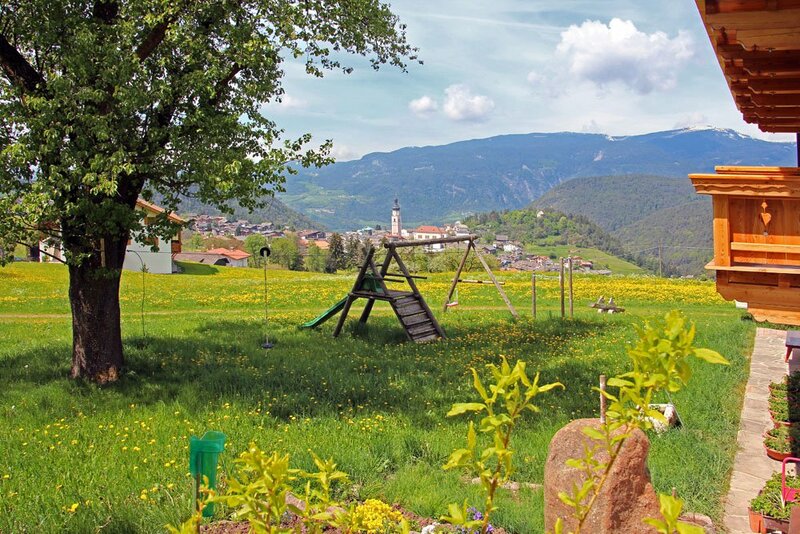 For a family holiday on or around the Siusi Alp Castelrotto and its fractions of Siusi allo Sciliar, Alpe di Siusi, Bulla, Roncadizza, S. Michele, S. Valentino, Sant’Osvaldo, S. Vigilio, Tagusa, Tesimo and Überwasser offer a great variety of activities. Right for children the numerous hiking trails become fascinating and mysterious paths which lead to the witches chairs and banks. Moreover many didactical trails are very interesting and educative for both adults and children. 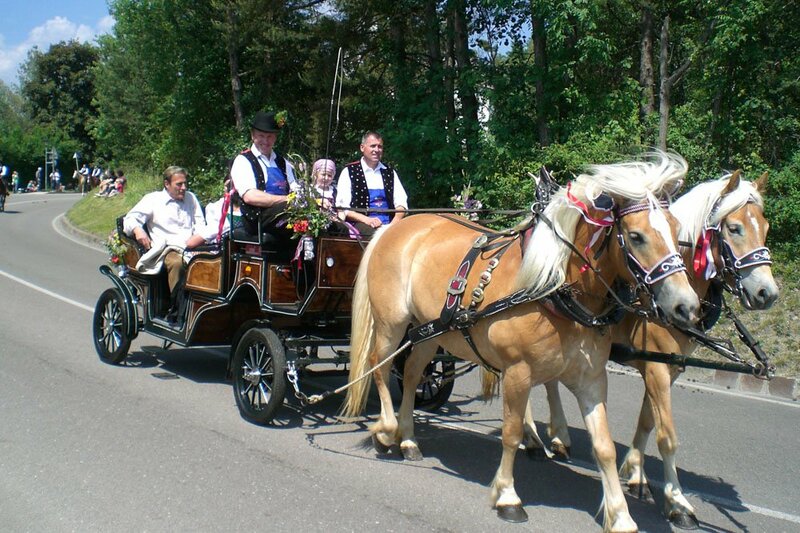 Among the sport activities that can be practiced there is minigolf, tennis, golf or riding on Haflinger. Are you interested in some cultural highlights? 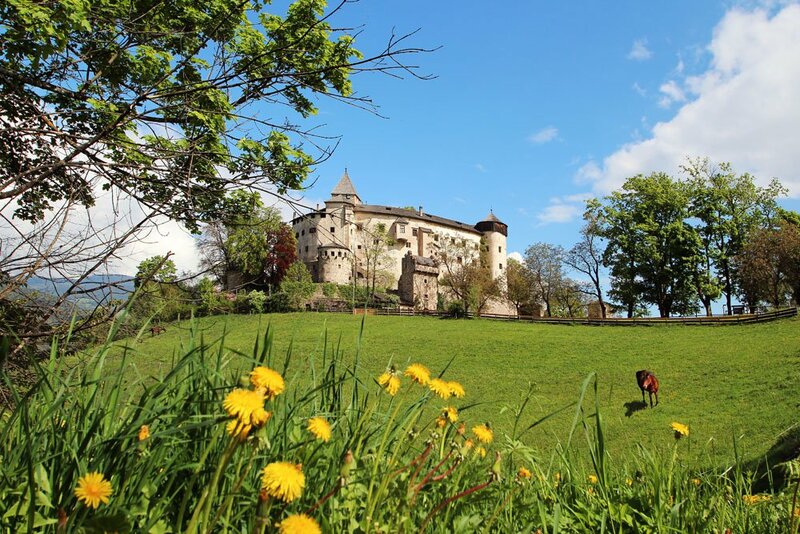 The cultural highlights of the region are historical places such as the Kastelruther house mountain, the mountain Kalvarienberg (Kofel) with Wallburg Castle and the ruines of Castelvecchio, Trostburg Castle, Prösels Castle or the 88 metre-high church tower of Castelrotto that can be also visited. A visit worth are also the school museum in Tesimo and the farmer museum in Sant’Osvaldo. Fans of the Kastelruther Spatzen can enjoy not only the concerts of this folkloristic music band, but in Castelrotto there is also a museum, the Spatzenmuseum, which tells the story of this local band.